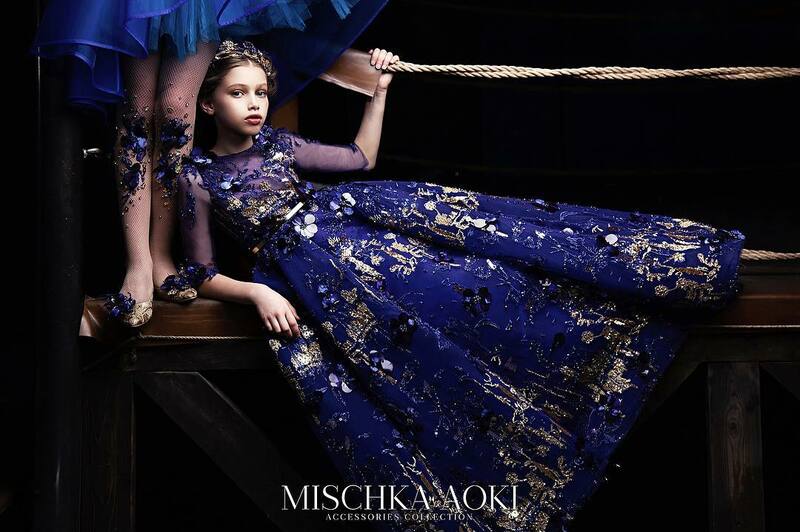 mix of playful prints and cute designs on a beautifully childlike colour palette. Wrap up your little one, stylishly and cosily in this A-line shaped coat by Catimini. Made in a textured cotton blend and fully lined in soft, smooth cotton, this little padded coat will protect her from the cold. This design has a structured collar, popper fastenings for extra warmth and is decorated with an all-over polka dot print. A sweet little bird appliqué adds sparkle, making this coat a lovely addition to a little girl's wardrobe. A lovely casual dress with the appearance of a two piece by Catimini. 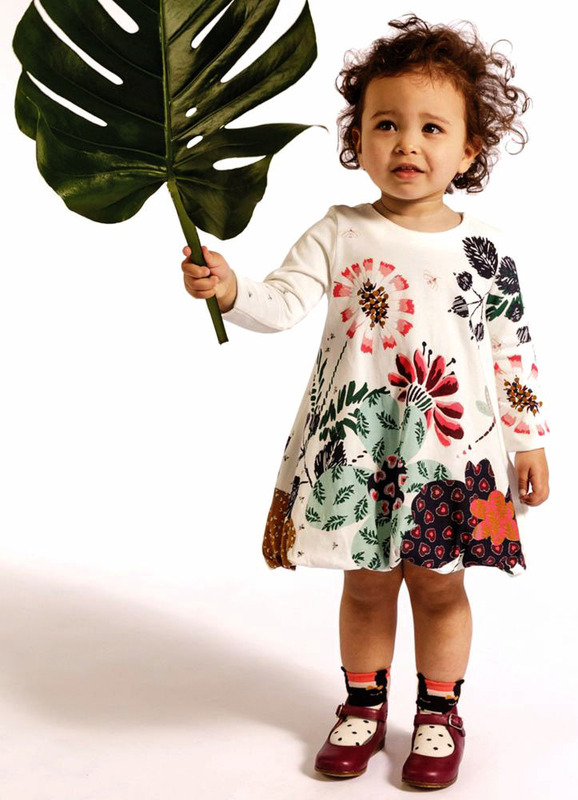 The 'top' is made in comfortable, ivory, cotton jersey with a sweet print of birds and the gathered 'skirt' is made in softly textured cotton with a pretty plaited braid around the waist, that any little girl will love. 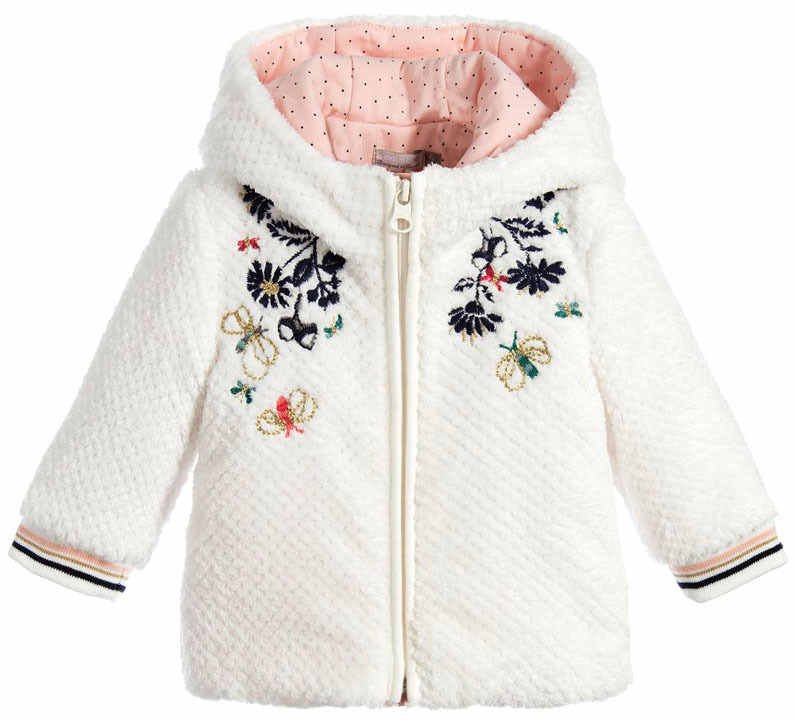 This ivory jacket Catimini is made in a plush synthetic fur, and detailed with charming embroideries on the chest. It has glittery ribbed trims and is lined in a soft cotton jersey for comfort. 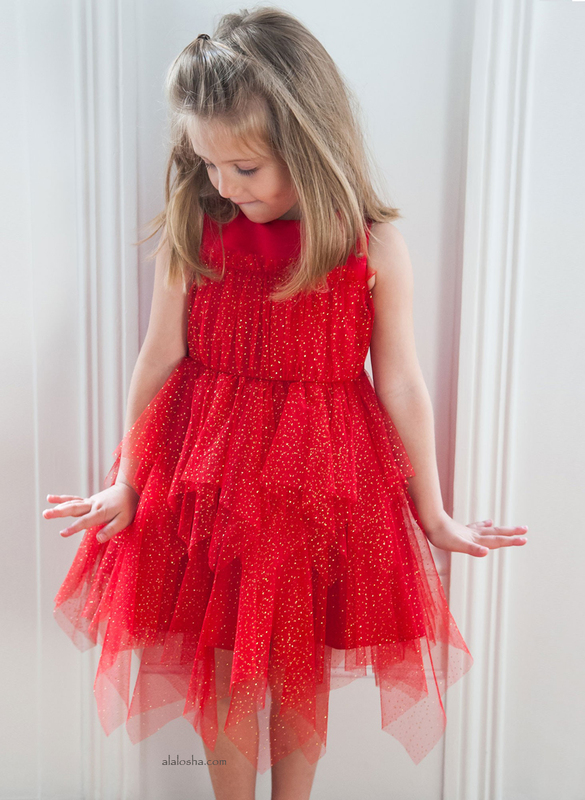 Easy to wash and easy to wear, it makes a lovely addition to girls early wardrobe. An adorable, ivory dress for little girls by Catimini, with the cutest bubble hem and floral dragonfly print. Made in comfortable, cotton jersey it is fully lined and fastens with easy-to-use poppers at the back.